James Chan: Mitsui & Company Ltd. (三井物産 Mitsui Bussan) is one of the largest sogo shosha (general trading companies) in Japan, and also part of the Mitsui Group. Its business area covers energy, machinery, chemicals, food, textile, logistics, finance, and more. The company was first established in 1876 with 16 members including the founder, Takashi Masuda. As Japan’s international trading was dominated by foreigners since the end of the Edo period, it aimed to displace trading back to Japanese nationals by expanding business owned by Japanese citizens. By the end of World War 11, it became a dominant trading giant, but was dissolved by the order of GHQ. 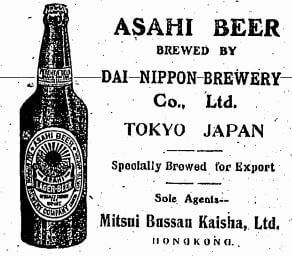 The current Mitsui & Co. was established in 1947 asDaiichi Bussan Kaisha, Ltd. In 1959, it merged with several other trading companies and changed its name to<itsui & Co., Ltd.
During Japan’s period of rapid postwar economic growth, Mitsui was a key player in several major projects in the natural resources sector. In 1971, it took a stake in an offshore gas field near Das Island in Abu Dhabi, which supplies liquefied natural gas to Japan on an exclusive basis; it invested in a major Western Australian LNG project in 1985 and in the Sakhalin II project in 1994. Subsidiary Mitsui Oil Exploration‘s MOEX Offshore had a 10% stake in the Deepwater Horizon well in the Gulf of Mexico through a subsidiary, and in May, 2011, MOEX agreed to pay US$1.07 billion to settle British Petroleum claims against it over the explosion and oil spill at the well. Some analysts had thought BP would realize a larger settlement from MOEX but there was also relief to have a first step toward resolving the multiple claims. 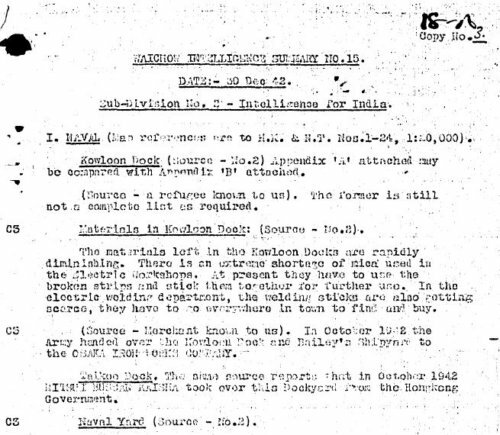 BAAG Report WIS#15 dated 30th December 1942 notes that Mistui Bussan Kaisha took over Taikoo Docks from the HK Government in October of that year. It’s rather unclear but see the 2nd part of paragraph C3. Can this substantiated? The image shown on the Home Page of this article shows a WW2 US bombing raid of Taikoo Dockyard. This article was first posted on 2nd January 2018.